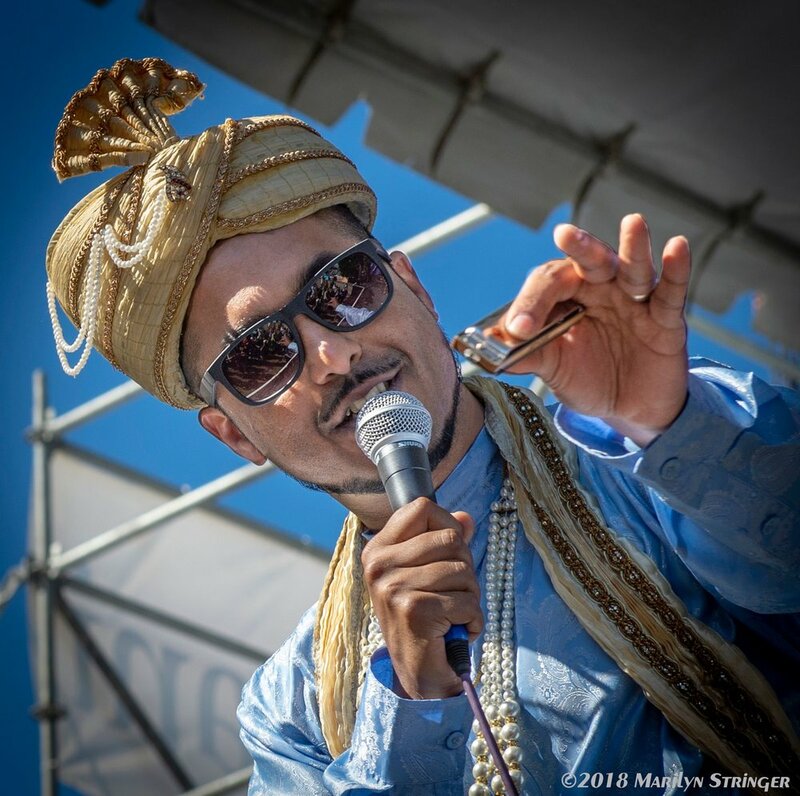 Dynamic frontman & harp player Aki Kumar is a bonafide star among the next generation of West Coast blues artists and the world's first professional blues harmonica player to hail from India. A master of the hugely influential Chicago blues sound, Kumar inherits his style from the harp legends of the 1950s and 60s. Aki has a unique voice in the blues, blending elements of blues harmonica pioneers of yesteryear with a signature sound of his own. Born and raised in Bombay (now Mumbai) - India, Kumar has long established his mark on the West Coast blues scene as a top-notch frontman, vocalist , entertainer and blues harp player. The Aki Kumar Blues Band has been the culmination of his journey through American roots music and constantly showcases his ever-evolving sound. This band performs vintage blues with tremendous skill and energy and is guaranteed to entertain audiences across all venues, from intimate listening rooms to large festivals. Kumar's critically acclaimed 2016 album Aki Goes To Bollywood is a ground-breaking fusion effort that blends retro Indian songs with the familiar grooves of Chicago blues. Described as "Muddy meets Mumbai", Kumar is pushing the blues into new directions with his brand new "Bollywood Blues" sound. In recent years, Aki Kumar has performed all across the United States and internationally (Norway, Finland, Sweden, Germany, UK, France, Belgium, Netherlands, Denmark, Brazil, Chile, Switzerland, Italy), collaborating with some of the top blues artists on the scene. He has also contributed his blues harmonica licks to numerous recordings produced on the West Coast in the last decade, including several albums produced at the world renowned Greaseland Studios.